For all your baking and culinary needs without the use of egg. 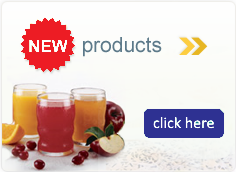 Ener-G Egg Replacer lets you enjoy all your favorite recipes. Ingredients: Potato starch, tapioca flour, leavening (calcium lactate, calcium carbonate, citric acid), cellulose gum modified cellulose. Calcium lactate is NOT dairy derived. It does not contain lactose. Gluten Free. Wheat Free. Cholesterol Free. Low Protein. Kosher. Vegetarian. Low Sodium. To measure accurately, pack Egg Replacer down firmly into the measuring spoon. 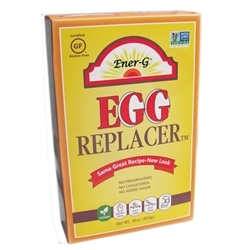 If unbeaten eggs are needed, stir Ener-G Egg Replacer into water (do not beat). Egg white beaten stiff -- beat Ener-G Egg Replacer with water until stiff. Egg Yokes -- stir 1½ teaspoons Ener-G Egg Replacer into 1 tablespoon water for each egg.